Mark Biek : What's happening at Bowman Field? What's happening at Bowman Field? There’s something about engineers. Whatever their discipline, they love to talk about their projects. Theyve been digging up a huge section of ground on the Dutchmans Lane side of Bowman field. Last year, they tore down the tee hangars and its just been overgrown concrete until now. I tried looking up the building project using the permit information listed above but I didn’t have any luck. My suspicion is it’s the permit for the outfall (eg drainage) work they’re doing as a result of digging up all the concrete. 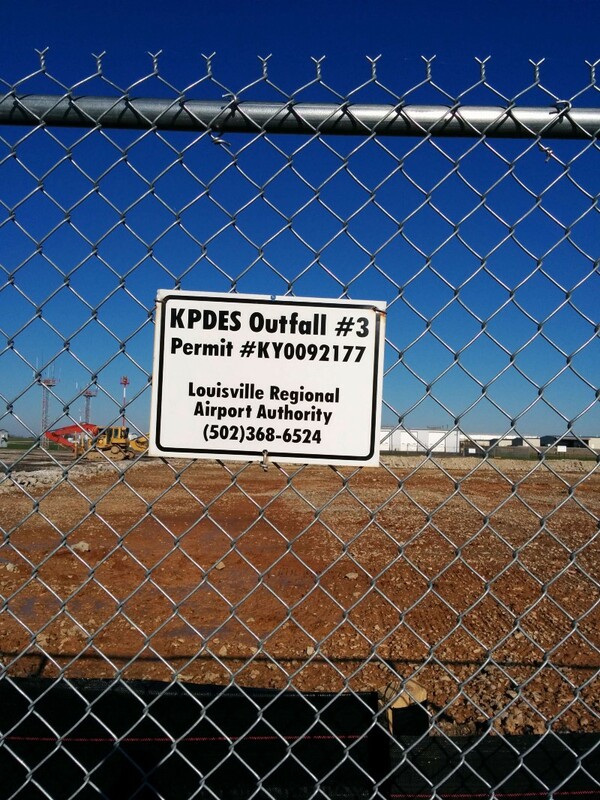 At a dead end, I decided to take the direct route and call the Louisville Regional Airport Authority and ask them what they’re doing. After a couple minutes of explanation, a confused-but-helpful receptionist transferred me to the voicemail of the Airport Authority’s chief engineer. 15 minutes later, Dwight (the chief engineer) and Steve (another engineer) called back. Dwight: Now, are you a pilot? Me: No, just someone who lives in the area and was curious. Dwight: Oh. Are you in construction? What do you do? Me: I’m a software developer. I just like to nerd out on stuff. That was a reasonable enough explanation for them and they were happy to discuss. They tore down the old tee hangars because they weren’t really getting used and it was a waste of money maintaining them. The current project is tearing up the 1940s-era concrete that was under the hangars and then turning the whole area into a green space. If there’s enough interest in a couple of years, they might build some personal hangars to rent out for corporate planes.. There you go. The power of curiosity and a simple phone call.